Let’s talk about the six stages of the Emotion Guide Journey. If you haven’t read about what this is and why it’s important for you and the kids in your life, click here to read part one. It’s normal to feel overwhelmed, frustrated, and worried about your growing person. It feels like being stuck in a rut where you keep doing the same things you’ve always done because, who knows, maybe if you do it again then it will work. You might worry that learning a new way will take too much time and energy, but you know that you want your kids to be connected, happy, and resilient. You feel like you don’t fully understand the root of what’s going on or how to help. You’re actively looking for information about your situation or child. If so, it’s time to Build Your Base. All change begins with awareness. The purpose of building your base is to increase your understanding and clarity around what’s really going on when your child, client, or student is struggling. This is important because we cannot create effective solutions for things we do not fully understand. What to focus on to Build Your Base, which is what you’ll find in The Emotion Guide Collective. Access information to fill any knowledge gaps you might have on the current challenge. Ask for help. Invite others to share their experiences (not their advice) and what worked or didn’t work for them so you can begin to find your own answers and create your own solutions. Explore what’s going on underneath the child’s behavior when they are struggling. Connect with them and hear things from their perspective. You feel like you’re doing a lot of lecturing, with a high percentage of your time spent talking “at” the child instead of “with” them. You’re probably hearing, “I don’t know” from your growing person more than you’d like. You’re feeling a lack of connection with your growing person. You feel like you’re spending a lot of time and mental space spinning your wheels trying to problems-solve what’s happening. Nodding along as you read these? Now’s the time to Create Your Emotional Language. An emotional language helps children to more easily discuss their emotional experience with you. When they have the words to clearly describe their internal experience, you’ll hear a lot fewer, “I don’t knows.” You’ll create stronger communication, connection, and a deeper shared understanding of their inner experience, which in turn decreases arguments, meltdowns, and shutting down. It creates a foundation and framework that’s the same for all members of your family, classroom or community, which creates a sense of safety and belonging, and communicates that all emotions are okay. An emotional language also creates a short-cut or code for discussing more complex topics in a way that all members of the group understand clearly. Engage in conversations and complete activities that build children’s emotional awareness. Co-create with your children, students, or clients a emotional language made up of words, phrases, and images that have meaning to them. 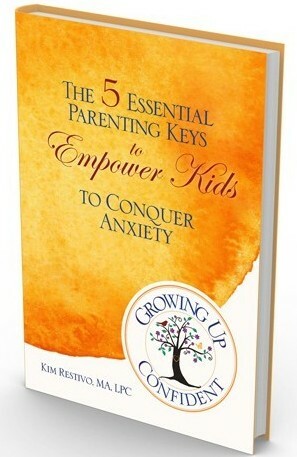 You’re trying to control or suppress the child’s emotions to avoid your own discomfort. You’re committed to being right and being in control because you’re the adult. You’re struggling with tending to your emotions and losing it more often than you’d like. You’re reacting to your own triggers, possibly based in default patterns learned by either adopting or rejecting things from your childhood, instead of responding to the child’s behavior. You may be feeling anger, guilt, defeat or a sense of being out-of-control at times. Does this sound like where you’re at? Grow your awareness so you understand and recognize your triggers and default patterns. Build your tools for tending to your own emotions so you can consciously respond instead of react to children’s emotional dysregulation. Create a plan to connect and repair things with your kiddos when your emotions do get the best of you. Learn techniques to actively practice self-compassion during and after challenging moments. Share your challenges. Connect with and receive support from others who get it. You’re primarily responding to the child’s struggles with behavioral strategies like timeout and other punishments that aren’t working. You’re unsure of when to push things and when to let them go. You’re unclear on how to set boundaries that aren’t fear-based. You only have 2-3 tools in your toolbox to guide children through emotions. You may be feeling helpless, overwhelmed and like your days revolve around your growing person’s emotions. Does this look like what you’re experiencing? Welcome to the stage of Tend to Kid’s Emotions. Understand when and how to respond to a child’s behavior through an emotional lens or a behavioral lens. Know how to set boundaries that are not fear-based. Build your toolbox full of strategies to help kids calm their bodies, quiet their minds, and dismiss their negative thinking. Grow your communication skills for responding to children in challenging moments so you can turn toward connection and away from control. Ask for help. Invite others to share their experiences (not their advice) and what worked or didn’t work for them, so you can find your own answers and create your own solutions. This is a stage you may not ever visit. It depends on your growing person. Some children will learn to tend to their emotions through your modeling and your support of their practicing skills in the moment. Others will hit bigger bumps in the road and benefit from specific activities/ lessons on emotional awareness and regulation. If you’re a clinician, educator, or other helping professional you probably spend a lot of time in this stage. You’re teaching them new emotional skills and they aren’t sticking. You see that the child is missing key skills to be able to handle their current challenges. You’re feeling curious about what you can do to help them fill the gaps in their skills. You’re wondering how you can make it more likely that the new skills will stick and become new habits. If so, Teach New Skills is the stage for you. Identify gaps in the child’s emotional skill set so you can focus on the areas they most need support. Confidently choose when teaching new skills is needed and when it isn’t. Have access to activities, stories, and ideas for teachable moments as they arise. Know how to engage the child in learning and practicing the new skills. Work with the child to co-create personalized strategies and plans for challenging situations. Create your own interventions by expanding on the techniques you’ve learned so they are aligned with your style and your growing person’s needs. I’m not going to lie, this stage feels pretty good. You may be feeling relief and have a great sense of peace of mind. You know, more often than not, you and your growing person are either confidently responding to the challenge or you’ve created new habits and the challenge is a thing of the past. Access your inner intuitive, creative, and intentional decision making framework so that you can confidently make choices in how to respond to children’s emotions. Befriend Emotions. Grow your own and the child’s ability to be present with intense emotions until they pass. Engage in ongoing learning of new tools, strategies, and techniques. Create a family, classroom, or office culture of compassion, connection, curiosity, and supporting one another even when things are hard. Add on to a continuously evolving common emotional language. Be an active part of a community where you share your stories and experiences with others who are going through the things you’ve gone through so they can find their answers. In the work I do with kids and their families, I’ve seen a lot of situations span many different backgrounds and ages. One thing I know for sure is when kids grow up loving themselves, our schools, families, and communities are better. How do we do reach this lofty goal? Through these six phases. What if it really is this simple? What if you had the resources to do this at your fingertips for less than a couple of Starbucks each month? If you are eager to confidently guide children through big emotions and connect with other clinicians, parents, educators and helpers, you belong in Emotion Guide Collective.